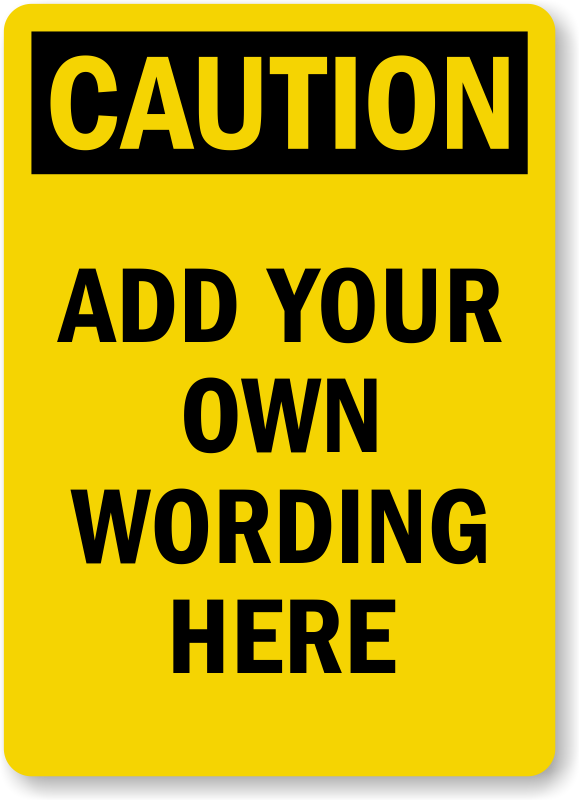 Just spare a minute and design your own Caution Label online. Add your own wording to our OSHA compliant design and create a custom label. Labels have glossy finish and are easy to clean. Labels have a great outdoor life and are resistant to chemical spills. Available in several sizes to fit your individual requirements. Excellent printing. I have bought labels here twice before. They stand up to outdoor weather extremely well.